Bolt-together shelving is the most economical solution for your storage needs. 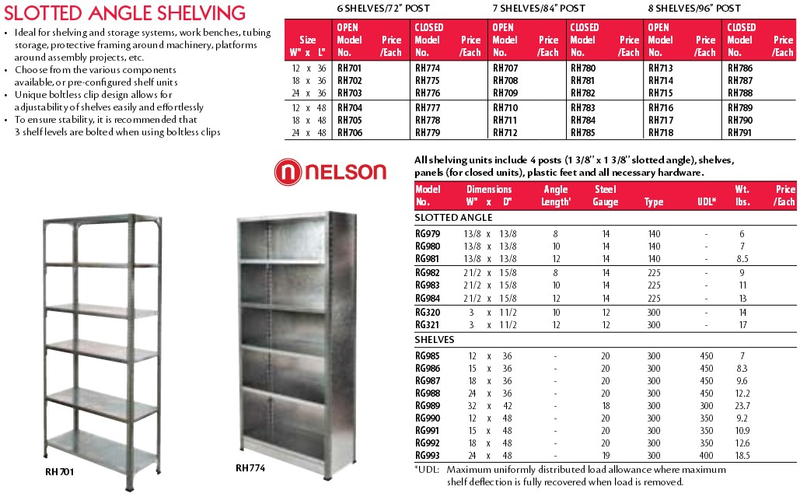 We stock Dexion brand and Triple-A brand shelving. 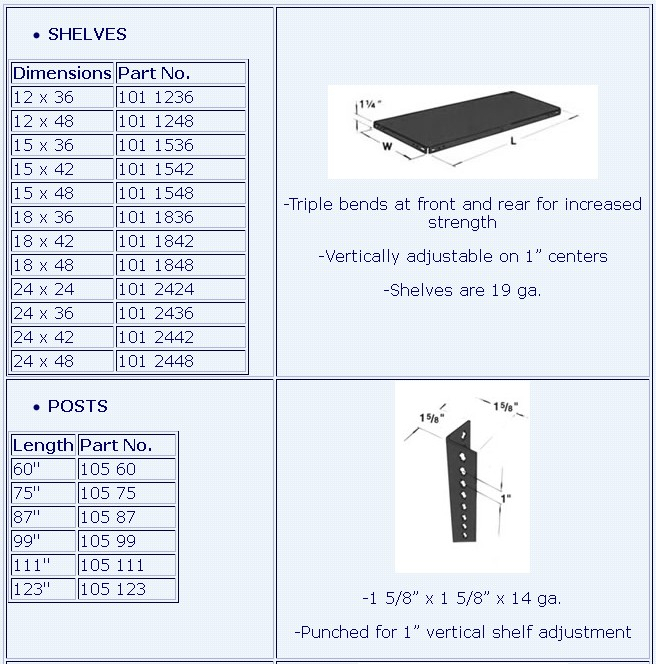 Standard sizes of shelves are 3' or 4' wide and depths are 12", 18" and 24" deep. Galvanized or painted are the standard finishes. Slotted angle posts are used for uprights and come in standard lengths of 6', 7', 8', 10' and 12'. For heavy duty applications such as building workbenches, stands or wide span shelving, we offer a 1 1/2" x 2 1/2" wide version. Standard finish is painted grey enamel. There are many accessories which include dividers, gussets and bracing for added strength and rigidity, shelf clips for quicker installation, plastic feet to protect flooring and bolts & nuts to assemble. We stock new and used to meet your budget. 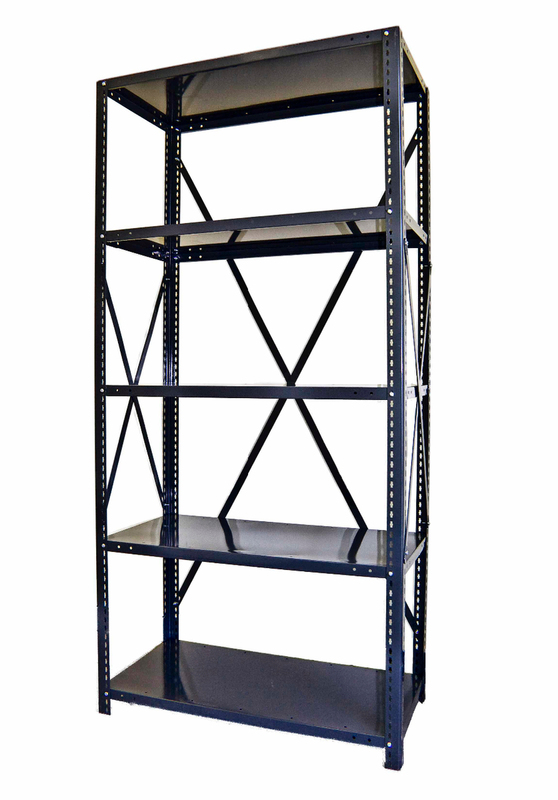 Heavy duty bolted industrial shelving. Installs easily using regular tools, without the need of skilled help. Compatible with Triple A Shelving. KW Materials Handling is Ontario's # 1 source for slotted angle uprights and all accessories. 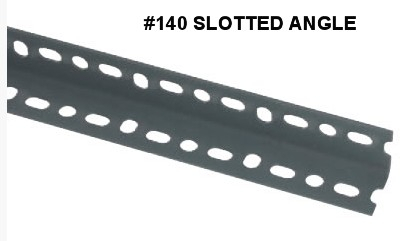 We stock many sizes of slotted angle as well as the gussets, bolts & nuts, plastic feet, bracing and more. We have no minimum orders and can supply either a few lengths or a few hundred. 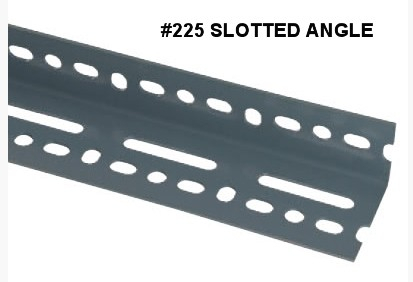 Slotted angle is also know as slotted angle iron, slotted angle uprights, perforated angle iron, dexion post, triple-a post and punched angle iron.